After all the gifts have been unwrapped and parents are worrying that their children will be watching television and eating cookies for the remainder of their winter break, Kids Moving & Thriving has a solution! 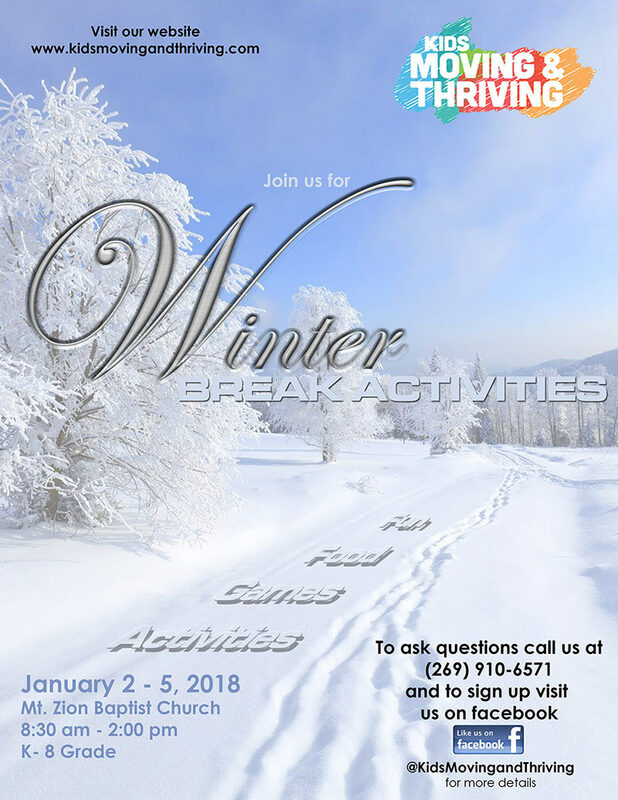 The Winter Break Program from Kids Moving & Thriving is a one-week program designed to keep kids active after the holidays until they return to school. Designed for youth aged 6 to 13, the program also includes volunteer opportunities for youth over 14. Each youth will pick an enrichment activity and be taught basic skills in that area over the course of the week. At the end of the week, we have a showcase that allows families to see what their children have learned. Stay tuned for dates and times, as well as a link to register in the fall! We are currently seeking volunteers to help serve food, monitor youth, transport, assist in locker rooms, assist enrichment teachers and more! Please email if this is you!